(Nanowerk News) The fledgling Beidou satellite navigation system will soon benefit hundreds of millions of users, and provide a cheaper and in some cases better alternative than the Global Positioning System, industry specialists said. 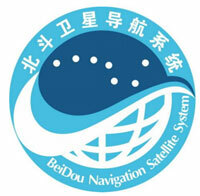 The Beidou network has 16 navigation satellites hovering over the Asia-Pacific region. But global coverage will be achieved when the network has more than 30 satellites. "By 2020, China will introduce a world-leading navigation system to more than 100 cities and 200 million users across the country," Vice-Minister of Science and Technology Cao Jianlin told China Daily. Beidou has advantages, Cao said, over the three other global navigation systems - the GPS of the United States, Europe's Galileo and Russia's Glonass - such as short-message communication. The market for transportation, weather, and telecom spinoff services from Beidou could be worth 225 billion yuan ($36 billion) by 2015. The military is already reaping the benefits even though the system has not reached full capacity. A naval fleet conducting patrols and training exercises recently used Beidou, according to a China National Radio report on Feb 4. The fleet, with missile destroyer Qingdao and missile frigates Yantai and Yancheng, entered the South China Sea at 11:40 am on Feb 1, after passing through the Bashi Channel. Beidou provided positioning, security and protection for the fleet, Lei Xiwei, information chief at the headquarters of the North Sea Fleet, said. Li Changjiang, chief commander of the Beidou Navigation Satellite System, said the system can provide valuable intelligence. The network's success is due in part to the technology behind the atomic clock, Li said. Atomic timepieces are a crucial tool in navigation systems as their accuracy and stability are key requisites. Only the US and a few countries in Europe have mastered the technology and Washington banned its export to China. "It is the most complex technology in the system," he said. After Chinese scientists made the breakthrough in the past decade, the Beidou satellites have achieved the ability to locate a user to within 10 meters. In terms of performance, Beidou is "comparable" to the GPS, Ran Chengqi, a spokesman for the China Satellite Navigation Office, said in December. Li said that another important application of the Beidou system is to provide precision for any transactions that require speed and accuracy, such as bank settlements. Cao Hongjie, vice-president of UniStrong, a company involved in global navigation services, said Beidou will have broader applications than the GPS. "Compared with the GPS, Beidou will make it easier for users to locate other people," Cao said. This function is particularly suitable for those looking after the elderly or children, he said. Transportation companies will also benefit by being able to keep track of vehicles and can use the short message function to dispatch drivers more efficiently, he said. However, Li Yi, a science observer, warns that excessive government support could make Beidou less competitive and the market will have the final say. "Beidou's success should be proved by the market," Li Yi told China National Radio. China also opens Beidou for foreign users. On Dec 27, China published the Beidou interface control document. The document describes how to access the functions and services provided by Beidou, and allows foreign companies to use the service. Beidou, unlike other systems, is open and allows interoperation with other systems, Vice-Minister Cao said. "We welcome international companies to develop client-side devices and services based on Beidou. We welcome the competition," he said.